The journey to the new Planet Delsin is about to take off!! 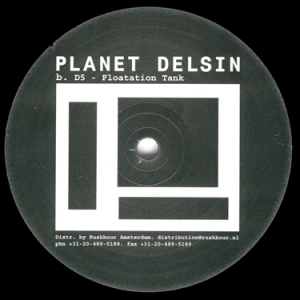 Amsterdam's technosoul label Delsin starts the celebration of their 50th release with this rock steady Planet Delsin Sampler EP. Three magnificent experienced scouts are ready to explore the interplanetary sounds of stardust, covered by the Planet Delsin. From the USA comes $tinkworx of Down Low fame, Holland brings in Aroy Dee of the M>O>S-collective and UK's D5 (formerly known as Dimension 5) completes the collective. 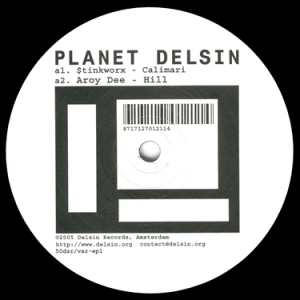 Whereas $tinkworx brings along the sound of Detroit Techno, Aroy Dee takes its Chicago House brother. Together with D5's gorgeous melodic input, they lay the fundaments for their new homebase. All proper quality techno!